Stop by to indulge in delicious cupcakes and cookies while chatting with other Sociology students and Sociology professors. This is a great opportunity to discuss classes, academic plans for the summer, internships, study abroad, research, and more! 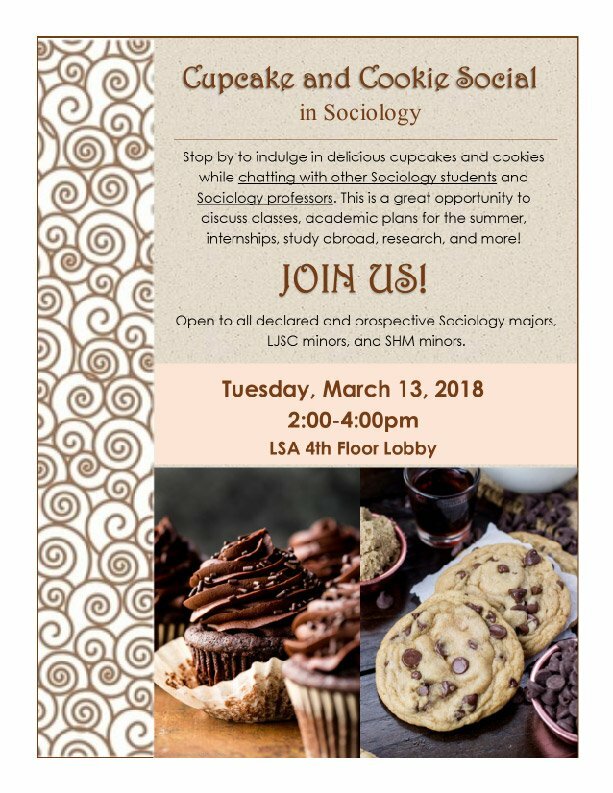 Open to all declared and prospective Sociology majors, LJSC minors, and SHM minors.